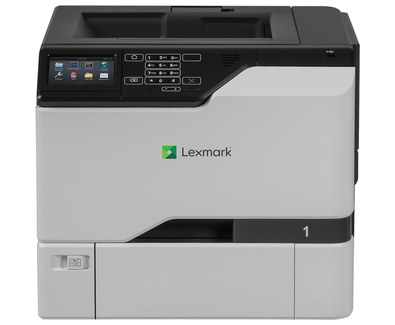 The Lexmark CS720de offers workgroup-level printing performance in a simple, feature-rich package that’s as easy to use as a personal output device. Media loading and feeding are engineered for ease, reliability and versatility, with up to 650 pages of standard input capacity (expandable to 2,300), small-media and banner-length support and exceptionally durable input trays that resist misfeeds. A 1.2 GHz quad core processor with up to 3 GB of memory gives the CS720 a powerful print controller. 高 x 長 x 深）: not define in.